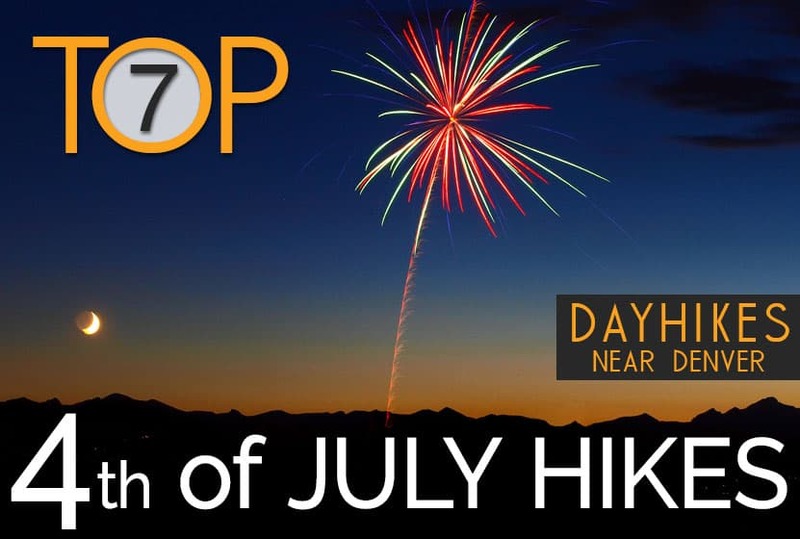 Are you looking forward to hike this Fourth of July Weekend? Getting up into the mountains near Denver is a great way to cool off during the Fourth of July weekend. Colorado’s wildflowers are in their glory and the mountain streams are still gushing with melt-water alongside the trails. But you probably don’t want to break the bank paying for fuel; and if you are like us, you’ve got some events to attend close to home. So, we’ve come up with 7 great hikes that are close to Denver, and hopefully (we can’t make promises) won’t be too crowed on the holiday weekend. Be sure to download our Free Hiking Guide to help you prepare and pack smart for your dayhikes. Ample Parking: The 4th of July Weekend means some of the highest traffic on the trails in Colorado. School is out, and it’s the height of vacation season. So, while I’d rather direct you first to some wonderful features like waterfalls and peak-top views, getting a parking space is probably priority number one this weekend. Enjoyable with Friends & Family: On holiday weekends we are often out hiking with friends and family. I tried to put together a set of hikes that are not too difficult and open up spaces for conversation as we all hike along the trail together. 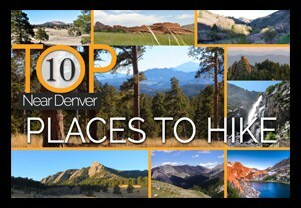 Close to Denver: This set of hikes are all within 90 minutes of Denver, Colorado–and most are within 60 minutes of downtown. If you want to explore hikes that are further from town, check out our Hikes Worth the Drive page. 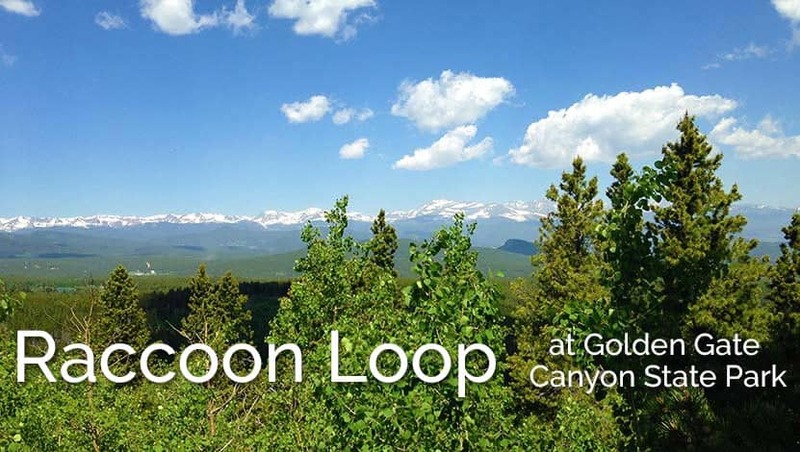 The Raccoon Loop in Golden Gate Canyon State Park is a new family favorite. It features lots of shade, and easy to moderate trail difficulty, and incredible mountain views of the Indians Peaks. Parking at Panorama Point is limited, but this hike can also be started from the Reverend’s Ridge Campground parking area, which offers a lot more parking (though this weekend will be pretty busy up there). As with all these hikes, go early to avoid the heat of midday and find a good place to park. 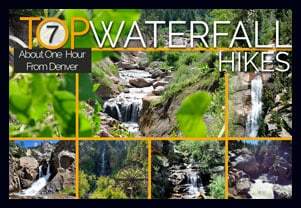 If you are looking for more loop hikes near Denver, check out our our page with a few other nearby loops. Eldorado Falls is a small cascade waterfall found along a stretch of the larger Walker Ranch Loop. It’s a 2.5 mile round-trip hike from the nearest parking area, but the Walker Ranch loop can be accessed from several other trailheads. We are including it in this post because this trailhead sees less traffic, and there are other trailhead options down the road. Do be courteous to the folks who live in this residential area by not parking along the narrow dirt road. They would great appreciate it. After 8am, the drive over the Flatirons necessary to get to this trailhead will likely have some congestion because Flagstaff road has so many hikers crossing it and folks driving slow to take in the sites. You can check the google map/driving directions on our full trail profile to see traffic and drive times. 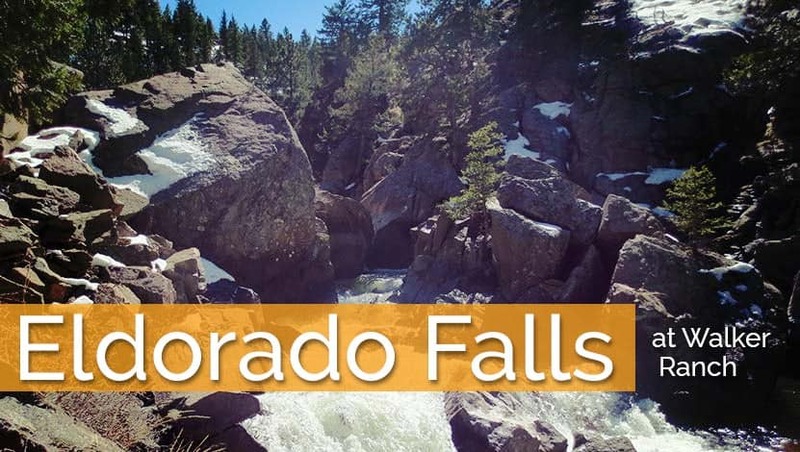 For a full list of Waterfall hikes, you can explore our many pages of Waterfall Hikes Near Denver page. 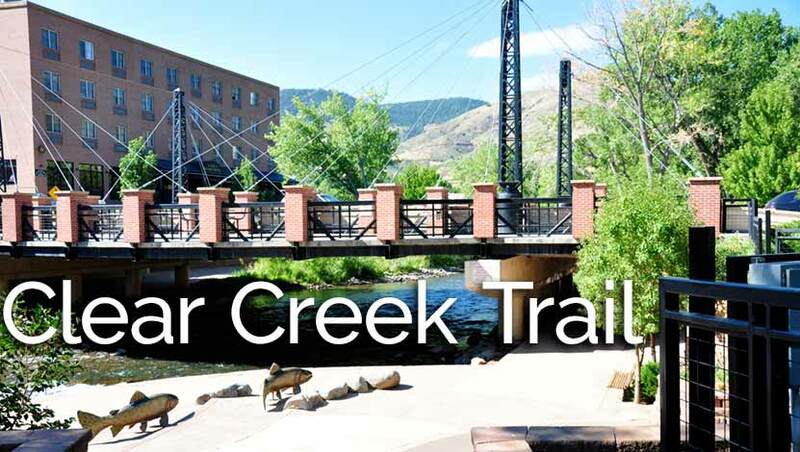 The Clear Creek trail in Golden offers a great opportunity for families with strollers and groups to hike alongside one another. There are little “beach” areas where kids can play in the shallow water, and watch the tubers and kayakers going by. With water levels high and currents swift this time of year, be cautious around the water’s edge. At the time of this writing (7/2016) the City of Golden has certain restrictions posted for tubers because of the high water levels. See our Clear Creek hike profile page for full details, including directions to several parking areas. It’s not your classic backcountry hike, but it’s a great weekend adventure. For more hikes near Golden, Colorado, check out our Hikes Near Golden page. Though Ouzel Falls is only 40-feet high, it may be one of the most beautiful in Rocky Mountain National. 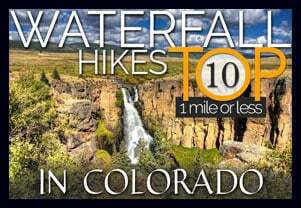 On this 5.4 mile round-trip hike, hikers will take in several waterfalls as they hike along the course of North St. Vrain Creek. 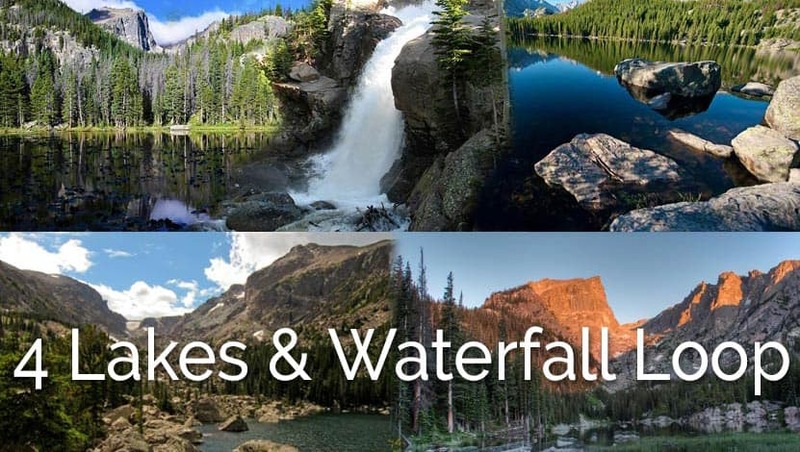 We are including a couple trails, Ouzel Falls and the next hike, which are located in Rocky Mountain National Park in this set just because they are so gorgeous this time of year. But, these are probably not good options if you arrive after 7:30 AM. From May through mid-August, we recommend always getting there early. Buy a park pass online before you go. 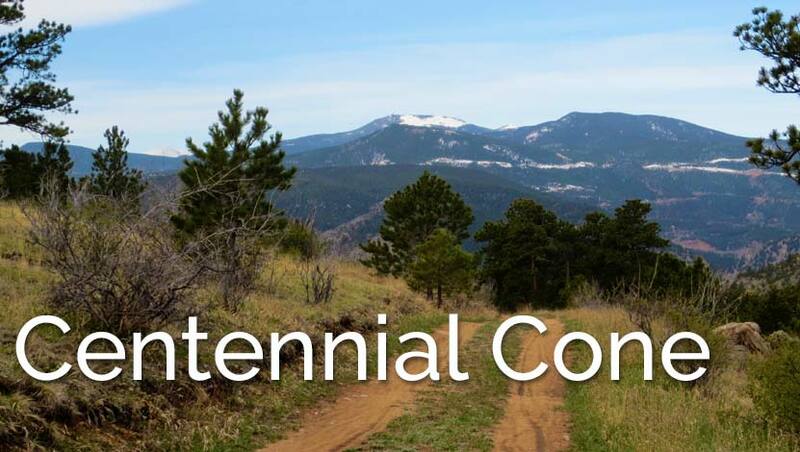 For our full set of over 50 hikes in Rocky Mountain National Park, explore our Rocky Mountain National Park Trails pages. This second hike in Rocky Mountain National takes hikers along some well-traveled trails on a 6.4 mile loop to visit four sub-alpine lakes and Alberta Falls. 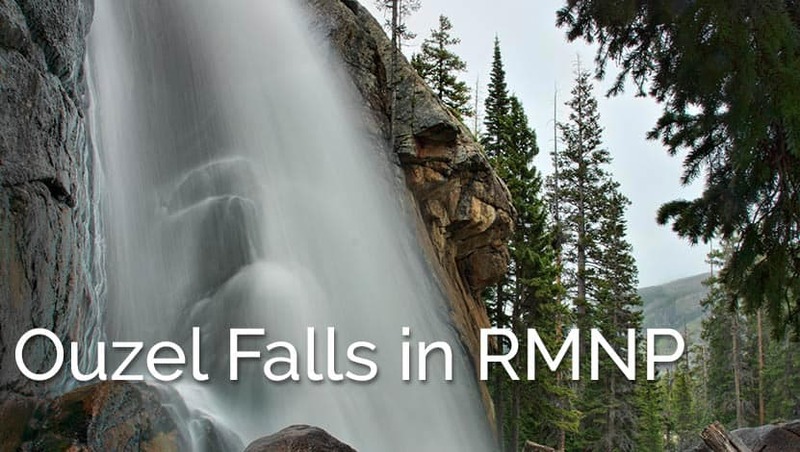 For more hike options in RMNP, be sure to check out our Waterfall Hikes in Rocky Mountain National Park and Lake Hikes in Rocky Mountain National Park pages. 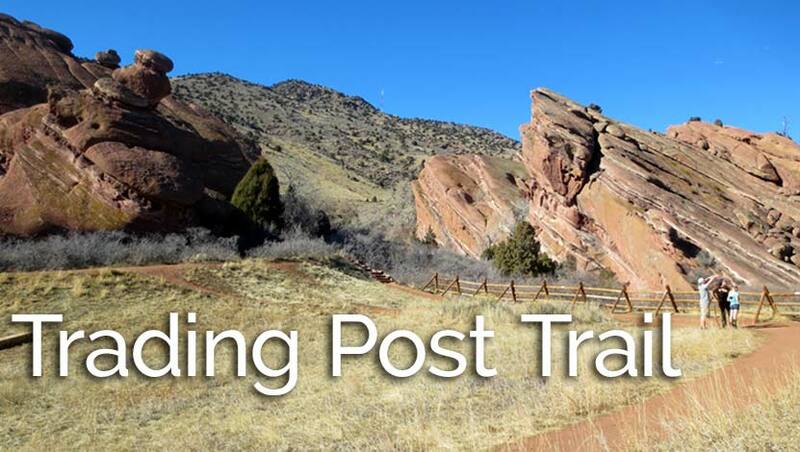 I recommend the Trading Post Trail at Red Rocks more than any other hike in the Denver Area. I have three reasons: The hike is beautiful, it’s short, and it’s super close to Denver. There is more than just the trail to explore. Be sure to take in the amphitheater and the cave just north of the amphitheater. You’ll find the cave info on another trail profile for the Red Rocks Trail below. This is a great hike for families with kids and the perfect hike for family who are visiting for the holiday weekend. There are a lot of hikes near Denver featuring red rock formations–more than you might guess–so, check out our Hikes with Red Rock Formations page for a selection of several more trail options. A sunrise or sunset hike up at Centennial Cone may be your best shot at some solitude. Rolling green mountainsides, herds of elk and deer, and views to the distant mountains all are great reasons to make the 45 minute drive to this Jefferson County Park. If you are looking for more hikes with Mountain Range views near Denver, explore our Mountain Range View Hikes page.